Brase Electrical Contracting Corporation has served the greater Omaha area since 1956. We are dedicated to providing you with the right solutions for all your electrical needs. 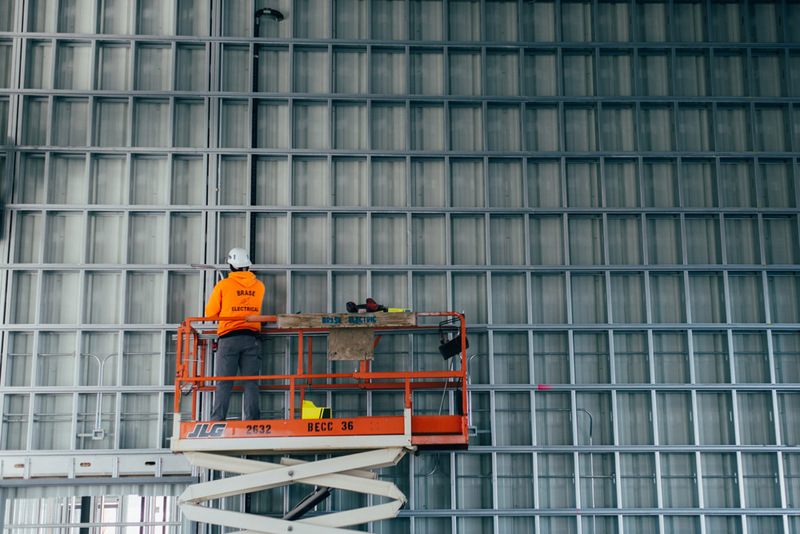 Our project managers have well over 100 years combined experience to help you design, build and maintain any commercial or industrial project. 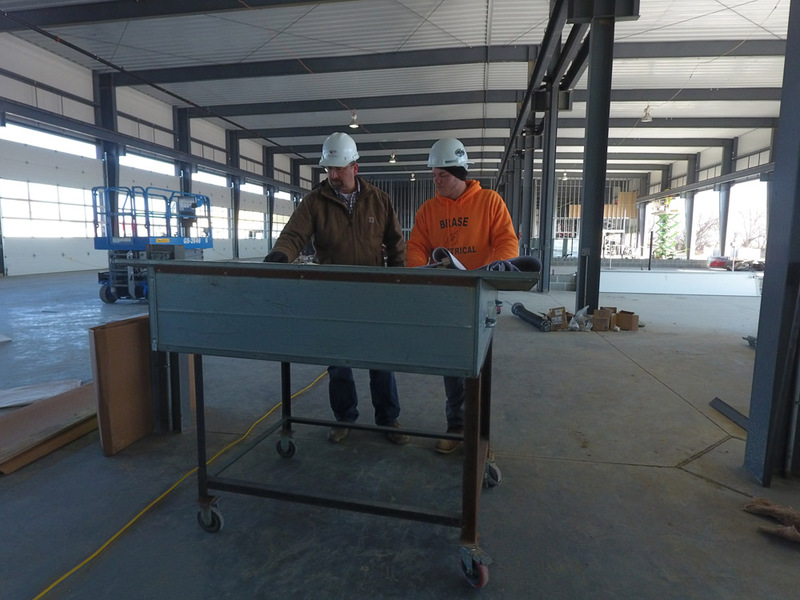 Each customer receives one-on-one attention throughout the entire building/remodeling process. Commercial properties and buildings come with their own distinct codes, requirements, and regulations. Which is why it is so important to work with commercial electrical contractors who are knowledgeable of all that is required. Insurance providers and municipalities typically require all codes and regulations to be up to date. If they are not, insurance providers may prevent or void coverage. Municipalities may also prohibit the commercial property from operating until specific aspect meet codes and requirements. One of the most highly scrutinized aspects of a commercial property is the electrical system. 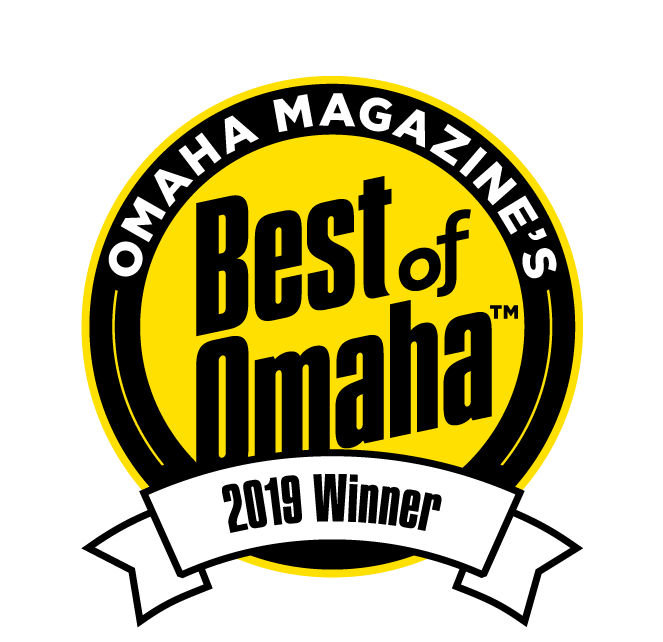 Here at Brase Electrical our licensed electrical contractors and technicians provide commercial electrical services to Omaha. Brase Electrical can handle a wide range of services, including installation, maintenance, and upgrades. This includes basic things like commercial lighting systems, energy efficiency upgrades, as well as security and surveillance systems. Just to name a few. 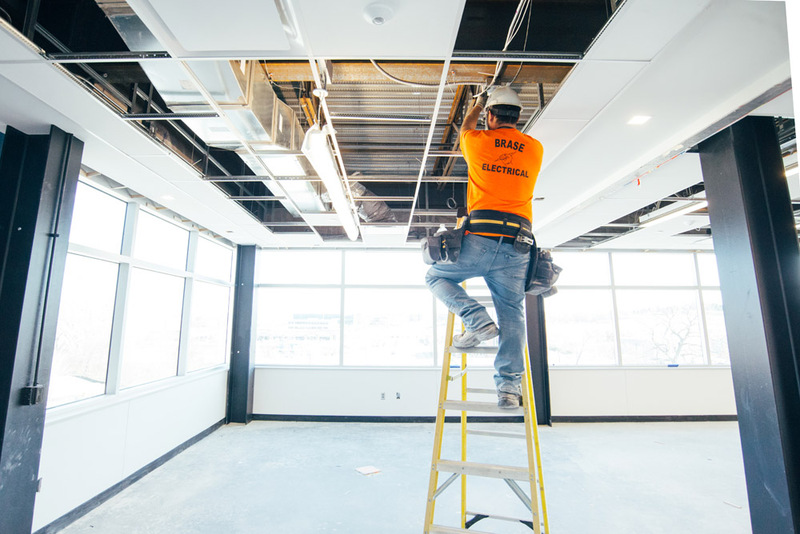 The commercial electricians at Brase Electrical can maintain or repair a wide range of commercial lighting fixtures and features. If you are experiencing problems with any aspect of your building’s lighting, please feel free to reach out to us. We can answer all your questions, to help you understand the gravity of your issue, whether it’s something as simple as a failed bulb or fixture, or as complicated as a failure in the wiring system or even an electrical panel. Our technicians can come onsite in a timely manner to inspect the problem and help you understand your options to repair the problem as well as maintain it in the future. Some commercial properties house one or more retail spaces. Some are directly occupied and maintained by the building’s owner. Sometimes multiple units on the property are rented or leased to other business and shops. There are a lot of similar lighting options available for retail shops and commercial office buildings, as well as industrial sites. We can help you understand your options for installing new lighting or replacing your existing lighting system. This includes things like upgrading lighting systems with more energy efficient options. In recent years a lot of commercial properties and retail spaces have been phasing out incandescent lighting to replace it with more energy-efficient options. Yet, incandescent lighting is still used in many office spaces, as well as in halogen lamps which are sometimes used to light retail product displays. There are also some manufacturers who offer more efficient incandescent lighting options. Our certified technicians can help you select the lighting option that is right for all your locations, offices, and displays. Fluorescent lights are relatively common in overhead office lighting as well as many retail spaces. They help to spread overhead light over large areas. Most are around four times more energy efficient than incandescent lamps. Unfortunately, they have a tendency to buzz and flicker as they age. – T12 Fluorescent bulbs, which are the most common. – Magnetic Ballast Lamps, which are typically inexpensive to install. However, they are not always energy efficient. – T5 and T8 Fluorescent lights are the most energy efficient of standard fluorescent lamps. They are more commonly used for lighting large areas. Compact fluorescent lamps, which are also referred to as CFLs, generally use 70% less energy than other types of incandescent bulbs. When they first emerged on the scene many offices and retail stores rushed to install them. Since then newer models have been produced that are even more energy efficient. CFL’s tend to last about 10 times longer than other incandescent bulbs. However, they can take between 30-seconds to 3-minutes to reach their full illumination capacity. These bulbs also contain a small amount of mercury, which could potentially be a health and safety hazard if they are dropped or damaged. LED bulbs are designed to produce light the instant they are turned on. In general, they are 75% more efficient than incandescent bulbs, with lifespans averaging between 20,000 to 50,000 hours. In the past, they were thought of as being an expensive lighting solution. However, improving innovation in the field has allowed prices to fall, making them more attractive to offices and retail spaces. High-pressure sodium and metal halide lights produce an intense white light that also has a high color-rendering index. These bulbs generate light through an electric arc that passes through a blend of mercury and metal halide vapor, which usually includes things like iodine or bromine. They are more commonly found as exterior lighting fixtures, as well as athletic fields, parking lots, and some large-area industrial lighting solutions. 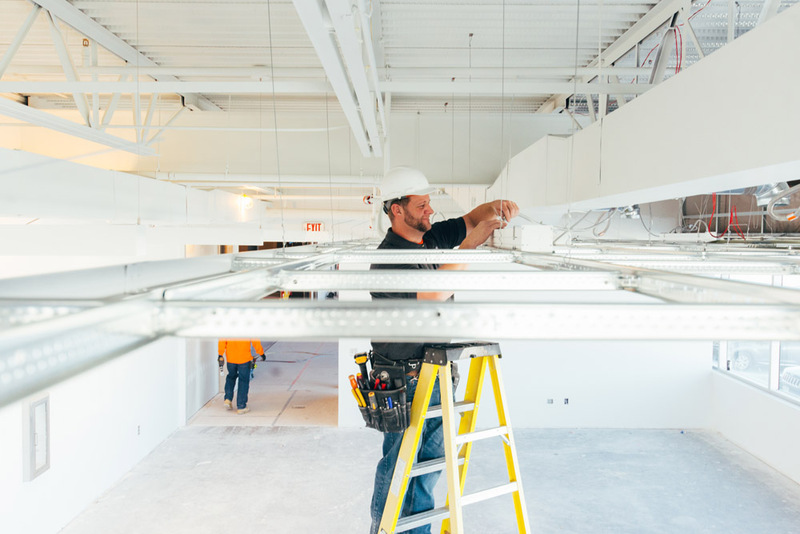 Our commercial electricians are experienced in installing, repairing and replacing high-pressure sodium and metal halide lamps. One of the most common forms of outdoor lighting is known as wall pack. This type of lighting fixture is used in a variety of commercial and industrial facilities. As the name implies, wall packs are typically mounted on outdoor, exterior walls. They tend to produce a powerful, high-intensity light that covers a broad outdoor area. Newer wall pack models tend to produce less light pollution, which makes them more attractive than they were in the past. Yet they still provide safety and security lighting that is capable of handling even the harshest weather conditions. During power outages and natural disasters, reliable emergency lighting and exit signs play a critical role in safety element for any commercial or industrial property. Many building codes and fire codes have rules about where they need to be placed. 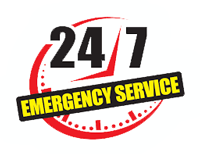 Our technicians are well-versed in these regulations and we can make sure that all your battery back-ups, exit signs, and emergency lights are in compliance. We are a fully operational data communications cabling provider, including the installation, maintenance, and repair of all unshielded twisted pair (UTP) and shielded twisted pair (STP) materials. 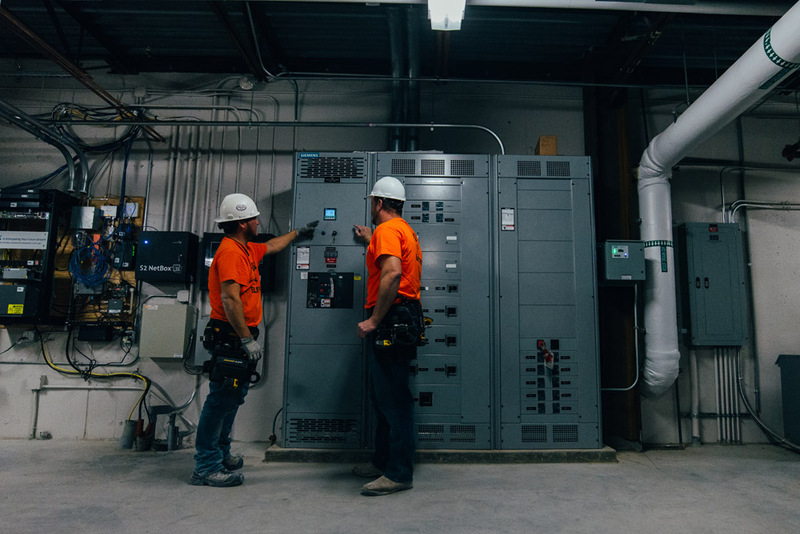 We design electrical systems for any project in the Greater Omaha Metro area. With our team of Project Managers there is no element of electrical construction that we cannot design to our customer’s satisfaction.